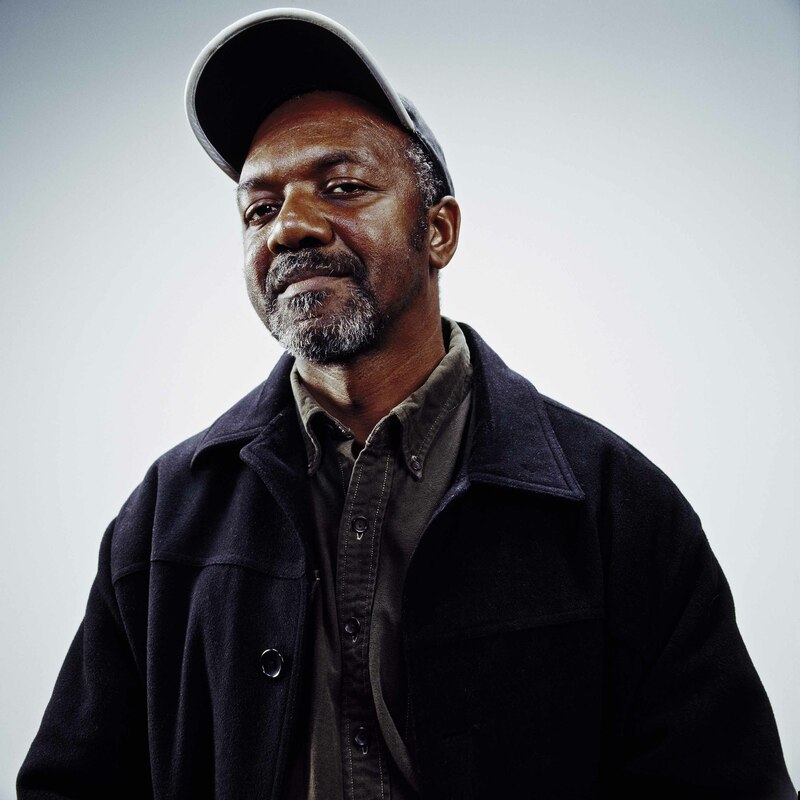 Photo by Cameron Wittig, courtesy of the Walker Art Center, Minneapolis. 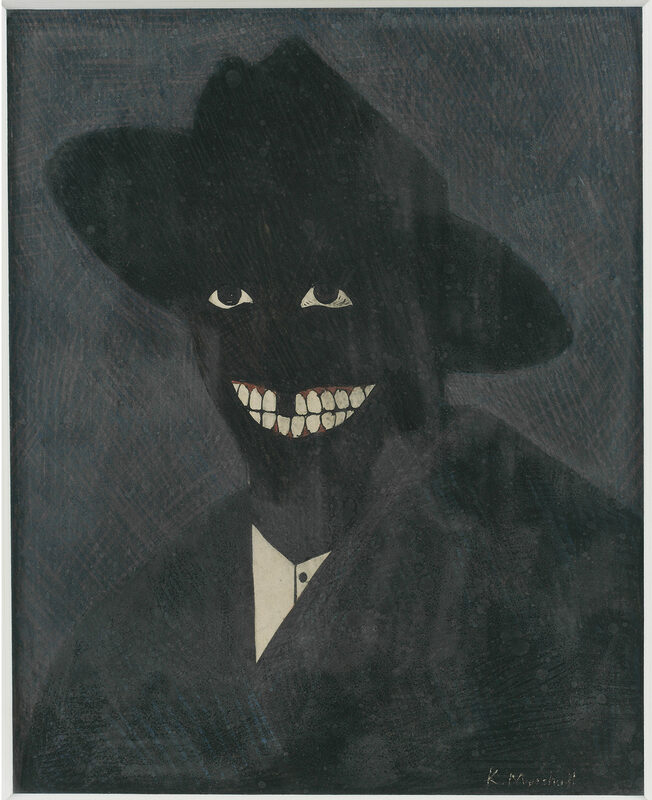 ©2009 Kerry James Marshall. Photo by Nathan Keay, ©MCA Chicago. Photo by Nathan Keay, ©MCA Chicago. Better Homes, Better Gardens, 1994. 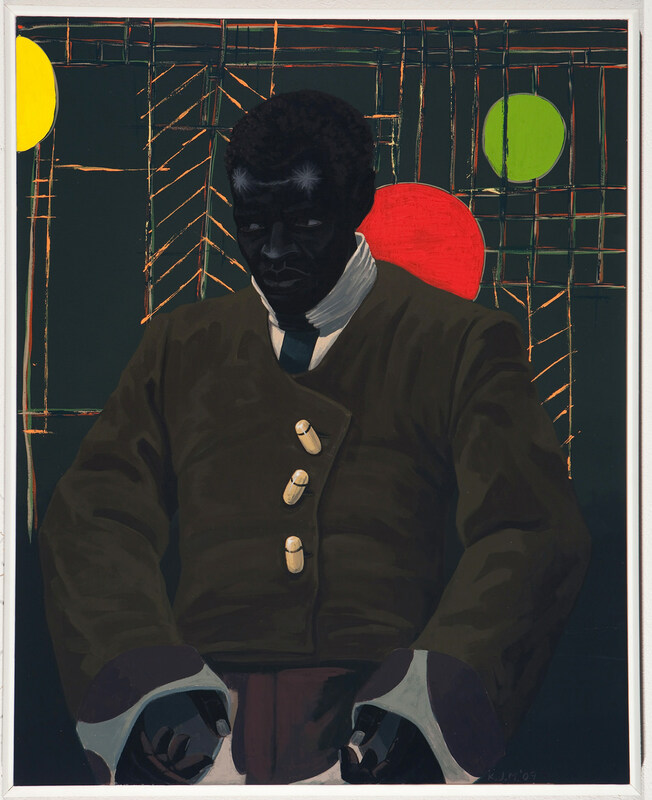 ©Kerry James Marshall. Photo courtesy of the Denver Art Museum. The Actor Hezekiah Washington as Julian Carlton Taliesen Murderer of Frank Lloyd Wright Family, 2009. 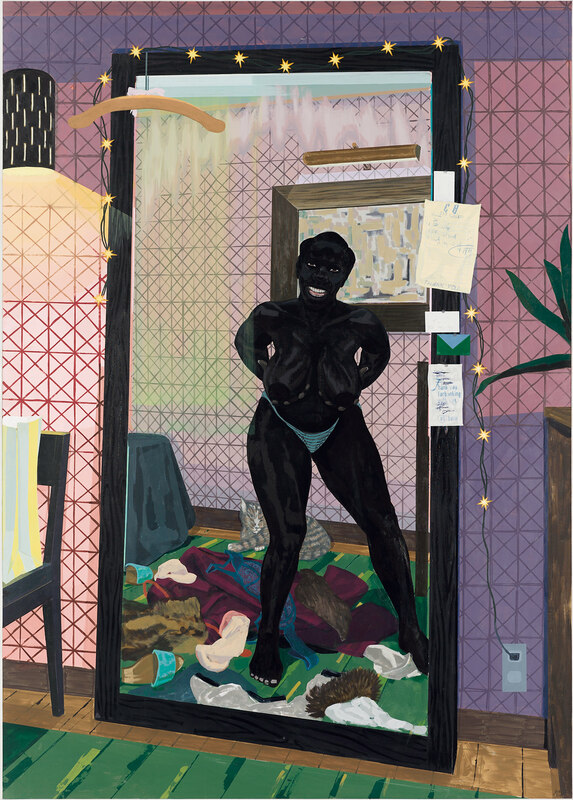 ©Kerry James Marshall, courtesy of the artist and Jack Shainman Gallery, New York. School of Beauty, School of Culture, 2012. Portrait of a Curator (In Memory of Beryl Wright), 2009. 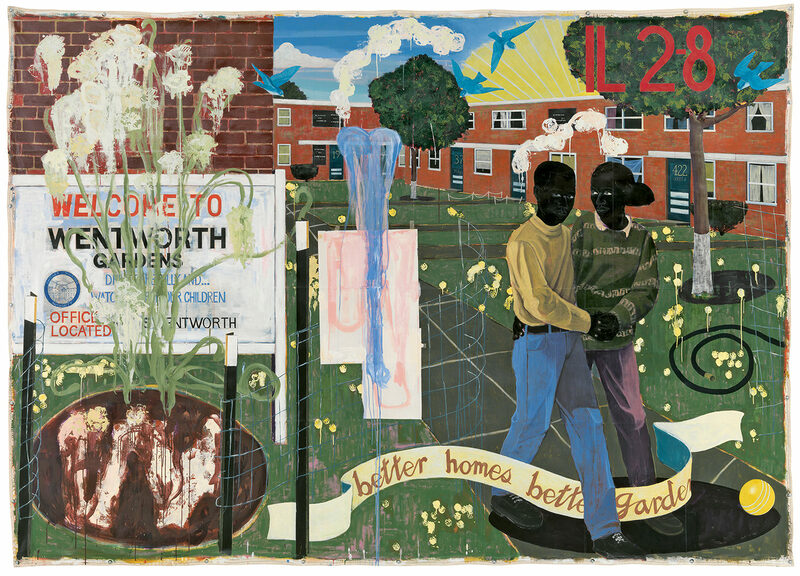 ©1995 Kerry James Marshall, courtesy of the artist and Jack Shainman Gallery, New York. A Portrait of the Artist as a Shadow of His Former Self, 1980. Photo by Matthew Fried, ©MCA Chicago. 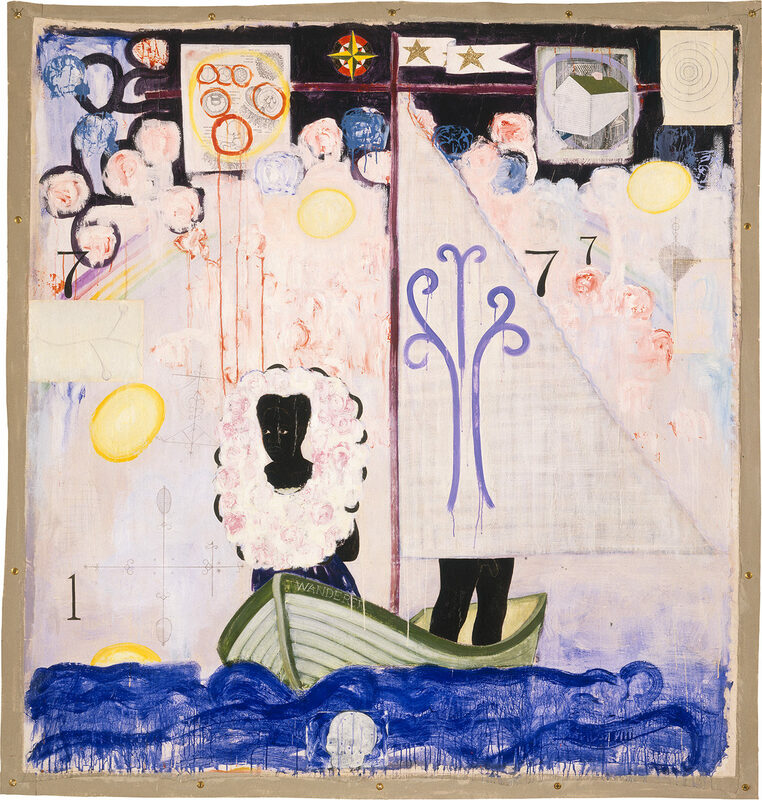 ©1995 Kerry James Marshall. Photo by Nathan Keay, ©MCA Chicago. 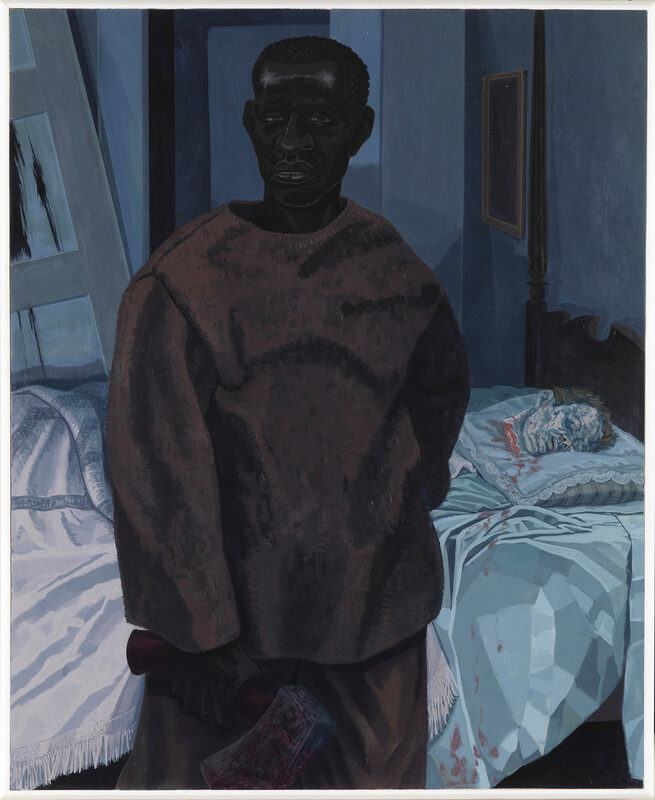 Portrait of Nat Turner with the Head of his Master, 2011. Courtesy of Segalot, New York. Photo by Bruce M. White, 2015, ©MCA Chicago. Image courtesy of the artist and David Zwirner. 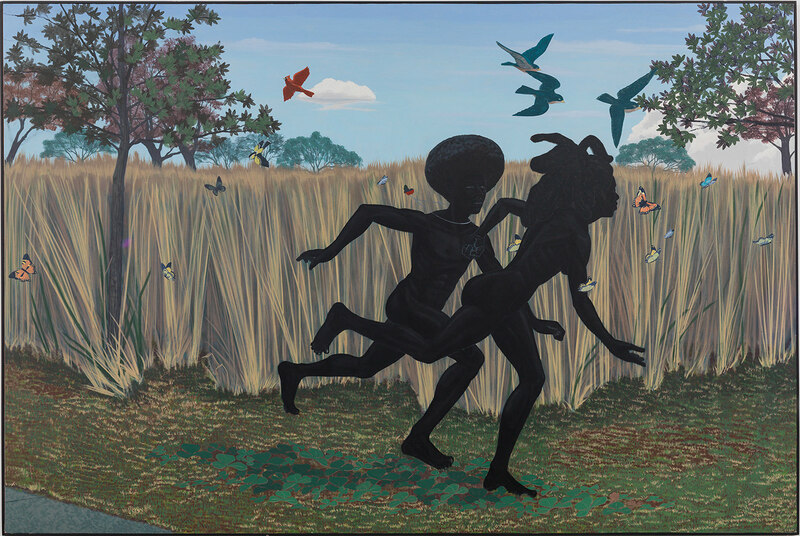 Kerry James Marshall in Chicago. The eye of an artist begins to focus early on. 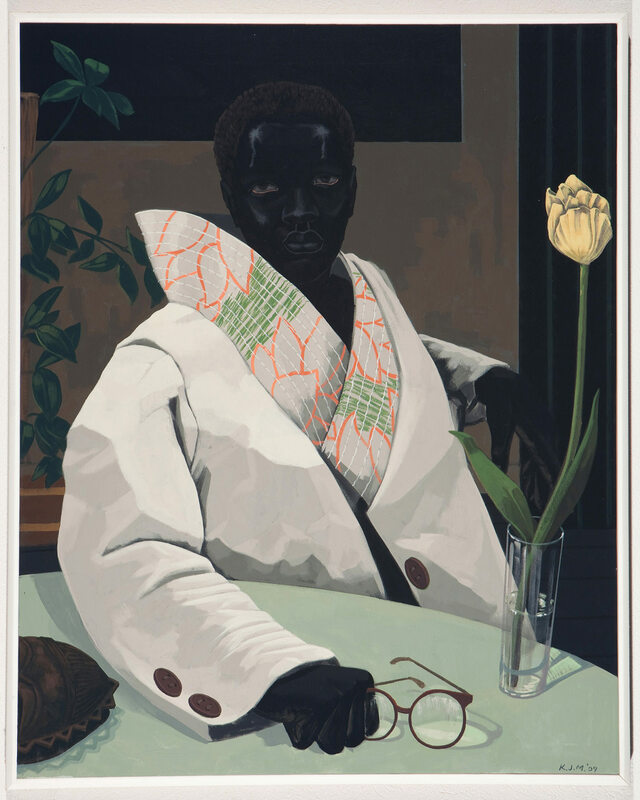 Painter Kerry James Marshall began looking seriously as an elementary school student, scanning the walls of the Los Angeles County Museum of Art. Like any good artist, his gaze has shifted over the years, but seeing remains the driver of what he does. 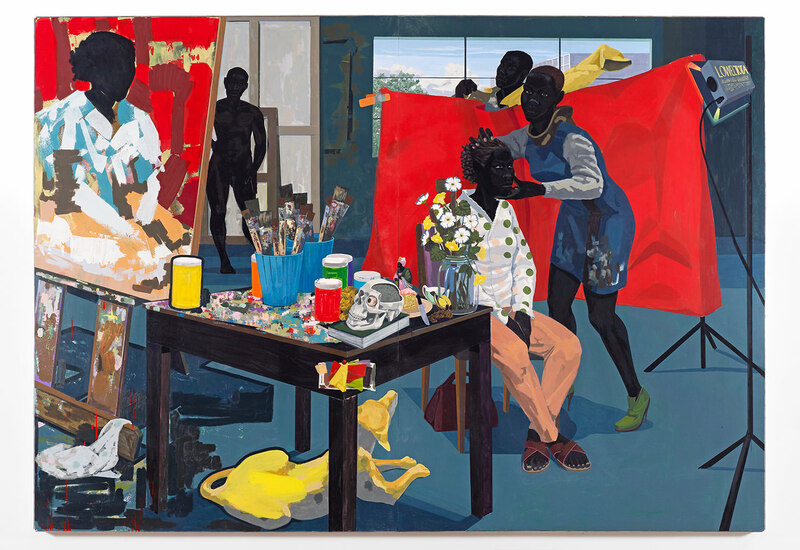 And now, the Museum of Contemporary Art Chicago celebrates the African-American artist’s vision with a massive retrospective, Kerry James Marshall: Mastry, on view until September 25. 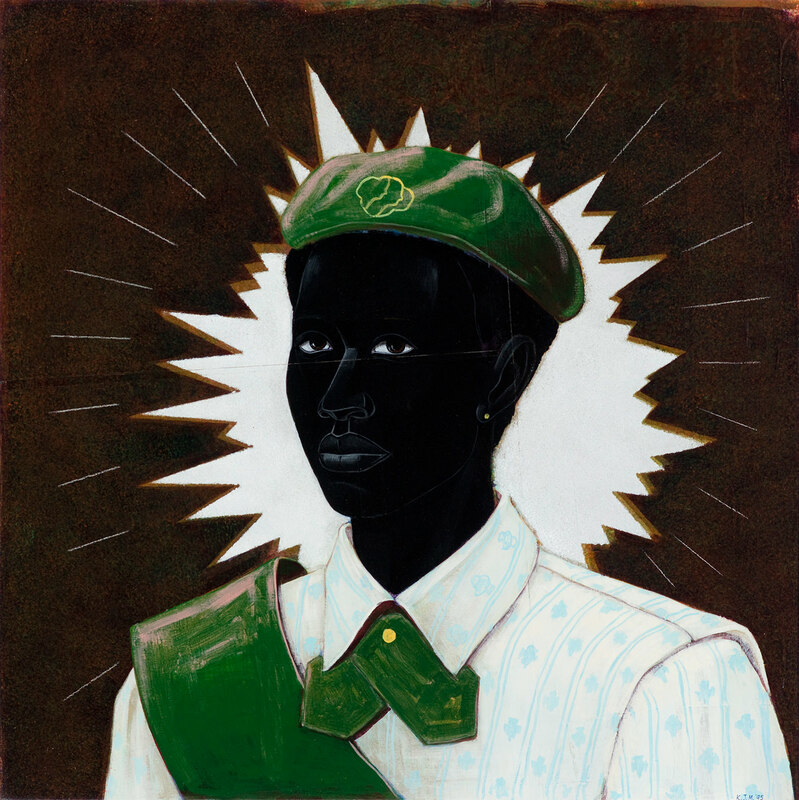 Born in Alabama in 1955, Marshall came up in a time when artists and critics valued appropriation, installation, video, and performance over plain painting (he studied it at California’s Otis College of Art and Design in the late ’70s). Not only did Marshall’s embrace of the easel run against the grain, his focus on figuration and narrative seemed downright radical. 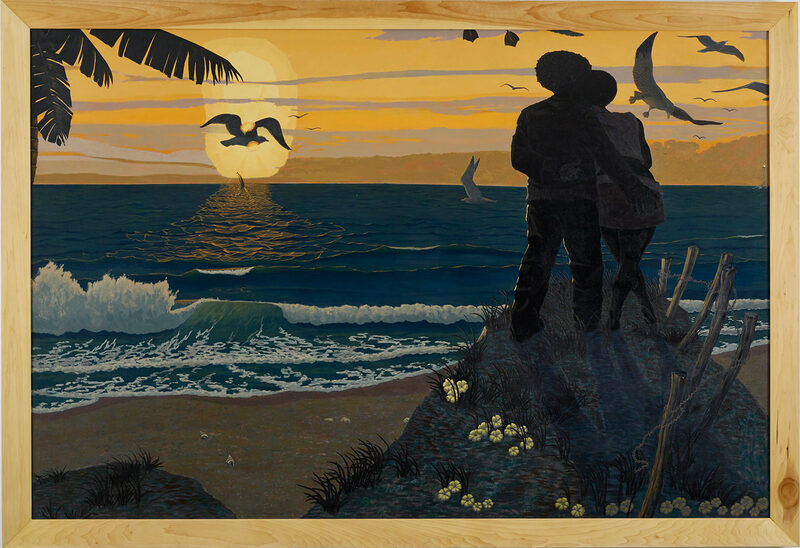 Today, his work can be found in the collections of the Museum of Modern Art, the Whitney Museum of American Art, and the Metropolitan Museum of Art, among others. The visages in Marshall’s paintings, and the pictorial world they inhabit, are powerful jabs to our consciousness. 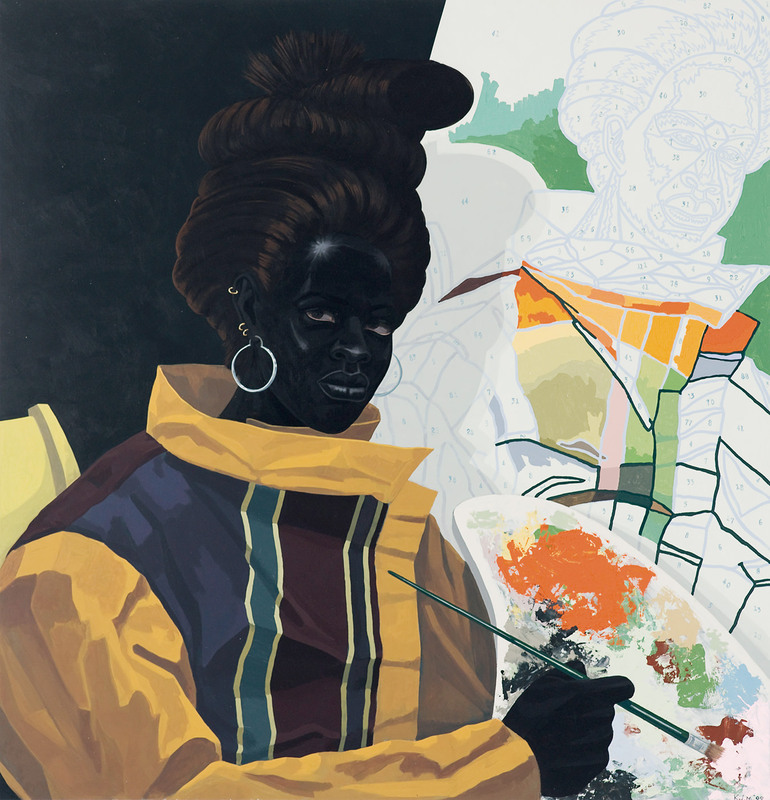 But there is critique beneath the brushstrokes, and the faces in Marshall’s work—frozen in an inexpressiveness that can be read as confrontational—add a certain inscrutability. More emblems than individuals, these visages make colour concrete. They, and the pictorial world they inhabit, are powerful jabs to our consciousness. 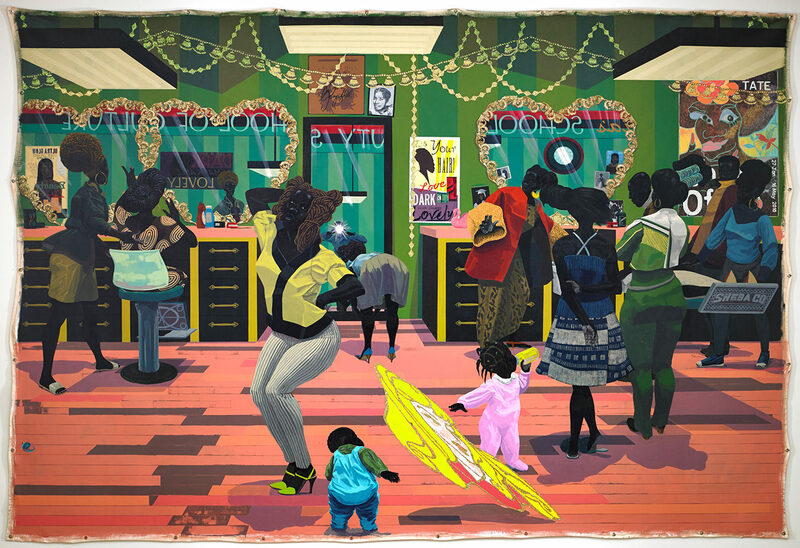 Kerry James Marshall: Mastry is on view until September 25, 2016, at the Museum of Contemporary Art, 220 East Chicago Avenue, Chicago, Illinois, United States 60611, 312-280-2660.